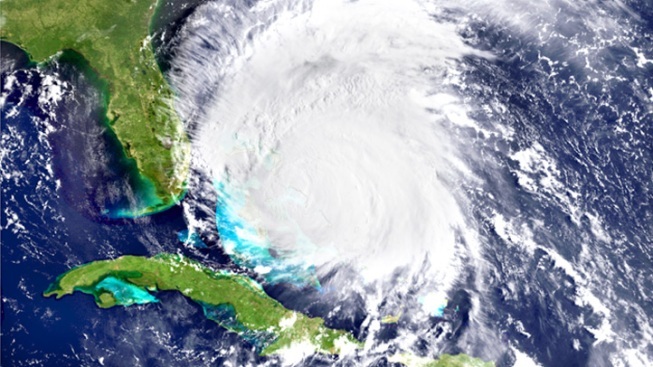 This satellite image provided by NOAA and taken at 12:15 GMT Thursday Aug. 25, 2011 shows Hurricane Irene as it approaches the northwestern Bahamas as a Category 3 storm. 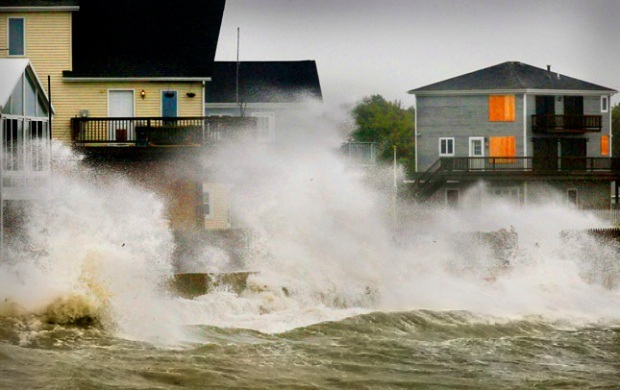 Hurricane Irene is grounding planes and halting trains as it makes its way up the Atlantic Ocean near the east coast Thursday. Officials at Miami International Airport said 67 arrivals and 65 departures were cancelled because of Irene, which remained a Category 3 hurricane Thursday as it stayed about 200 miles to east of Florida's coast. At Fort Lauderdale-Hollywood International Airport, a total of 28 flights going in and out of the Bahamas were cancelled due to weather-related conditions, Broward County Aviation Department spokesman Gregory Meyer said. Flights to and from the northeast were being delayed by up to one hour, but the delays were due to other weather and not Irene, Meyer said. Meanwhile, Amtrak announced that it was cancelling train service for Friday, Saturday and Sunday operating south of Washington, and said additional cancellations may be necessary.